We advocate for safe, environmentally responsible and competitive air travel by promoting the development of sound public policy and engaging with government and industry stakeholders. Air Canada is Canada’s largest domestic and international airline serving more than 200 airports on six continents. 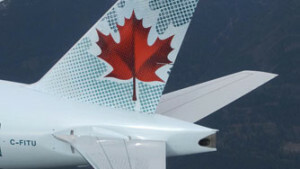 Canada’s flag carrier is among the 20 largest airlines in the world and in 2015 served more than 41 million customers. Air Canada is a founding member of Star Alliance, the world’s most comprehensive air transportation network serving 1,330 airports in 192 countries. Air Canada is the only international network carrier in North America to receive a Four-Star ranking according to independent U.K. research firm Skytrax and is among Canada’s Top 100 Employers. 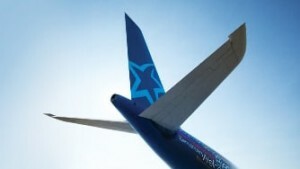 Air Transat is Canada’s leading holiday travel airline. Every year, it carries some 3 million passengers to nearly 60 destinations in 30 countries aboard its fleet of Boeing narrow-body and Airbus wide-body jets. 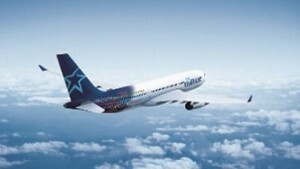 Air Transat is a business unit of Transat A.T. Inc., an integrated international tour operator offering a full range of services in holiday travel in more than 60 destinations. 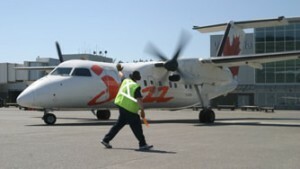 Jazz Aviation LP is the largest regional carrier in Canada and operates more flights and flies to more Canadian destinations than any other airline. The Jazz fleet consists of Canadian-made Bombardier Dash 8, CRJ and Q400 NextGen aircraft. 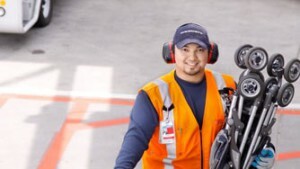 As an integral part of Air Canada’s strategy and North American market presence, Jazz provides service to and from many smaller communities in Canada and the United States under the brand name Air Canada Express. WestJet is proud to be Canada’s highest-rated airline for customer service, powered by an award-winning culture of care and recognized as one of the country’s top employers. 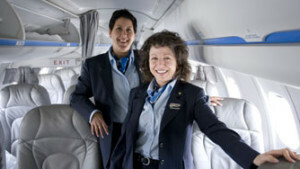 WestJet offers scheduled service to 100 destinations in North America, Central America, the Caribbean and Europe. Through its regional airline, WestJet Encore, and with partnerships with airlines representing every major region of the world, WestJet offers guests more than 150 destinations in more than 20 countries. 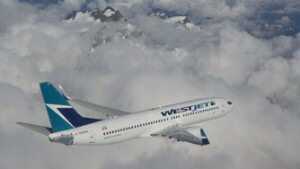 WestJet operates a modern fleet comprised of Boeing 767-300, and the Boeing Next-Generation 737-600, 737-700 and 737-800 aircraft. WestJet Encore operates a fleet of Bombardier Q400 NextGen turboprops. The NACC is an association intended for all air carriers facing similar regulatory and policy issues. All large passenger air carriers are eligible for NACC membership, provided that they hold the certifications and licenses required in our by-laws. Please contact us for information about joining the NACC. Our Board of Directors is composed of senior executives from each member airline. Our Executive Committee is composed of aviation industry experts from each member airline. Working with the Executive Committee, our team runs the day to day operations of the NACC. Massimo Bergamini brings over 30 years experience in government relations, public affairs and association management to his role as President and CEO of the National Airlines Council of Canada (NACC). As an association manager, Massimo has led and managed change, helping diverse organizations position themselves favourably in their marketplace. He has worked on both sides of the government relations table: as Special Assistant to an Opposition Member of Parliament, as Press Secretary and Director of Communications for two federal cabinet ministers, and as a senior government relations and public affairs executive for a number of national associations. Massimo has developed and run local, regional and national political and advocacy campaigns, including the Federation of Canadian Municipalities’ campaign for a new deal for cities. As Senior Manager, Operations, Suzanne supports NACC and its subcommittees with their operational and regulatory initiatives. Suzanne brings with her a wealth of experience and a tremendous skill set. She was most recently Manager, Cabin Safety at the International Air Transport Association (IATA) where she liaised with governments and industry stakeholders and drove the development of global standards. Previously, Suzanne worked as Manager, Global Training at Airports Council International (ACI) and Transport Canada Civil Aviation Inspector. Janet Meldrum has been with the National Airlines Council of Canada since 2011. She has over 30 years experience in various administrative roles including with various federal departments such as Transport Canada Civil Aviation Medicine, Health Canada First Nations & Inuit Health Branch and Office of Nutrition Policy & Promotion. Janet rounds out her week by teaching piano and Music for Young Children classes. The Airport Operations Committee promotes sustainable aviation safety and secure facilitation practices for airport operational and technical issues. 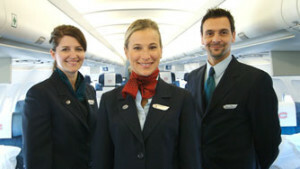 The Cabin Safety Committee promotes passenger and cabin crew safety, cabin crew training and safety equipment. Mandate: To ensure a consistent and fair development and application of Canadian Aviation Regulations (CARs) and other applicable standards by working in partnership with other aviation stakeholders. The Communications Committee supports the NACC by developing messaging and making recommendations on communications strategies. Mandate: To provide guidance on communications strategy and tactics, so that NACC fulfills its objectives of being the voice of its members when engaging with government and other stakeholders. The Environment Committee focuses on the many activities undertaken by the industry to reduce environmental impacts, as well as on the development and implementation of environmental laws and regulations governing airlines. Mandate: Foster a policy and regulatory framework that delivers sustainable environmental benefits, and advance the environmental stewardship of member airlines. The Flight Operations Committee works with the government and other stakeholders to promote effective regulations and practices with respect to airline operations. Mandate: To bring forward the interests of airlines and to be effective in representing identified needs to the government in order for airlines to operate more efficiently and safely. This shall include all areas of responsibility of an Operations Manager and Chief Pilot of an airline. The Maintenance and Engineering Committee provides an industry voice for all aviation maintenance and engineering activities. Mandate: To work on behalf of all member airlines to ensure safe, secure and appropriate regulations and policies regarding aviation maintenance and engineering activities. The Monetary Affairs and Infrastructure Committee works to support and promote the ongoing viability of the commercial aviation industry through focus on taxation policies, fee structures, efficiency initiatives and prudent infrastructure investment. Aviation industry specific trends in monetary and infrastructure policies and practices. The Security and Facilitation Committee is concerned with aviation security policies and procedures. It engages with the relevant authorities on behalf of the members. Mandate: To represent Canada’s major airlines on security and facilitation issues by developing clear, factual and consolidated positions on key issues. The Service and Accessibility Committee acts as a voice for the industry on rulings, policies, regulations and consultations that determine standards of service and accessibility for airlines. Mandate: To ensure that member concerns and views with respect to rulings, guidance material and regulations are clearly communicated to relevant government and non-government stakeholders. The NACC engages with government and industry stakeholders to build a stronger, more competitive aviation sector. Here are our partners. Transport Canada is the federal government department responsible for transportation policies and programs in Canada. The department’s Civil Aviation directorate is responsible for rulemaking and oversight of the Canadian civil aviation system. the Aeronautics Act, the legislation which governs Canadian aviation safety and provides a basis for all aviation regulations. the Canadian Aviation Regulations (CARs) which include all regulations governing civil aviation safety in Canada. standards which are incorporated by reference in the CARs. Advisory Materials providing non-compulsory guidance regarding regulations and standards. many other Acts related to air transportation. Transport Canada also oversees air carriers’ certifications, program approvals and compliance with environmental commitments. NAV CANADA is a private sector company which provides air traffic control and additional air navigation services to airlines and aircraft operators in Canadian-controlled airspace. The Canadian Air Transport Security Authority (CATSA) is the Crown corporation responsible for the implementation of the air transport security rules established by Transport Canada in the wake of 9/11, especially passenger and baggage screening. CATSA reports to Parliament through the Minister of Transport and is regulated by Transport Canada according to security standards developed by the International Civil Aviation Organization (ICAO). CATSA shares responsibility for screening and security measures with air carriers, airport operators, police, and several federal government departments and agencies. The Canada Border Services Agency (CBSA) is responsible for maintaining security, safety and the free flow of persons and goods across all of Canada’s borders. Under this mandate, the CBSA provides border services at airports, notably the clearance of international passengers. 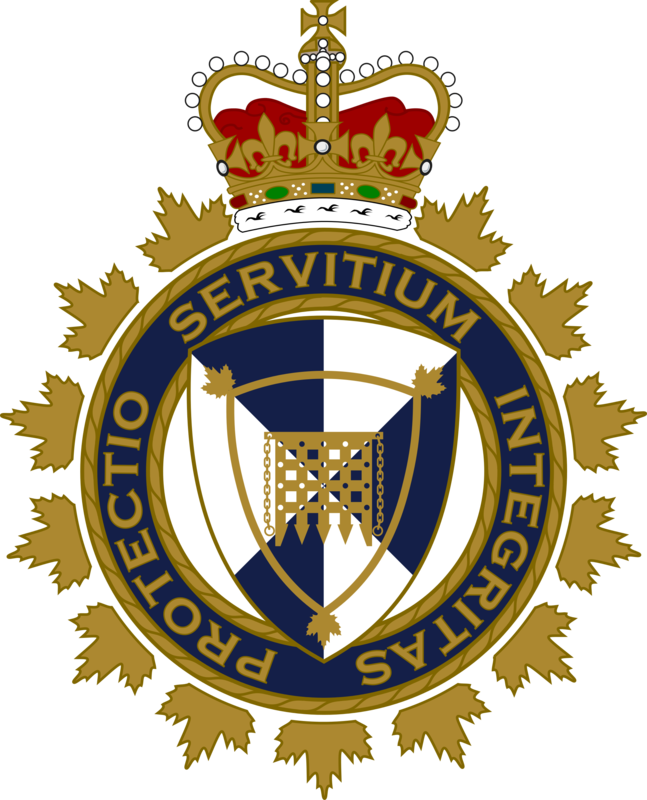 The CBSA is part of the federal government’s Public Safety portfolio. It administers more than 90 acts, regulations and international agreements, many on behalf of other Canadian federal and provincial entities. The Canadian Transportation Agency (CTA) is an independent, administrative tribunal of the Government of Canada that operates to resolve disputes, improve access and make decisions in questions of economic regulation with regard to transportation. Click here for a full list of the agency’s many responsibilities in the air transportation sector. In order to operate abroad, Canadian airlines must hold licenses and comply with all civil aviation laws and regulations of the jurisdictions they fly through. The Federal Aviation Administration governs civil aviation in the U.S.A.